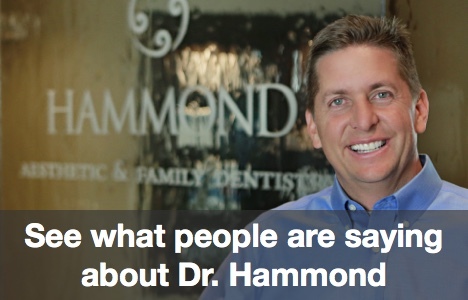 Welcome to Hammond Aesthetic & General Dentistry, Utah County’s favorite family dental practice! Kids love coming in to visit and you will too. We help children learn and understand the value of long-term oral health and get them started on the right path to a healthy and long-lasting smile.We know how to help kids feel relaxed and even engaged in their dental procedures and normal hygiene appointments. No need to panic and wonder if your children will be terrified of their dentist. We love kids and they can feel that and come to enjoy visiting us too. Utah Valley families also love that the whole gang can get the same high-quality dental care under one roof. When you come in for your dentist visit at Hammond in Provo, feel free to schedule your little one(s) to come along too. To schedule an appointment for you and your children, give us a call at our Provo office today! We love working with families from all over the Utah County area, from Lehi to Orem! We look forward to your visit!In the meantime, share the activities below with your kids to get them ready for their visit. Jennie is our Children’s Preventive Specialist. We are so grateful to have her! She has been instrumental in developing in our office one of the most successful children’s preventive programs in the country. Recently, our Children’s Preventive Center was featured in the national media (CBS news) as one of the most exciting places to bring your kids for dental care. The children who come to our office for dental care cannot wait to come back! Jennie’s goal is to create an incredibly fun and informative experience for our young patients. They leave excited about caring for their own teeth at home. Our goal is to make cavities a thing of the past! Jennie has been known to invite hundreds of her young patients to our office for our annual Christmas party with Santa Claus. We are so grateful for her commitment to children throughout the world. Your kids are ALWAYS welcome in our office. We’ll take good care of them! With her help, our family dentistry practice is second to none. 1) Print a copy of the Brushing chart here. 2) Post the chart in your bathroom by your sink. 3) Color in the sun when you brush in the morning and the moon when you brush at night. 3) Find a magazine and cut out healthy foods and unhealthy foods. 4) Glue the healthy foods onto the white tooth and the unhealthy foods to the yellow tooth. **Another idea would be to laminate the teeth and the foods and keep them to use as a great sorting activity to use over and over. 2) Cut out little squares of white paper. 3) Glue the squares in the mouth for the teeth. **Another fun idea is to glue mini marshmallows! 2) Cut the toothbrushes out and laminate if you wish. 3) Have your child put in order of biggest to smallest or smallest to biggest. **Another idea is to have them count how many toothbrushes there are. 2) Cut the words off the bottom and cut out the individual words. 3) Match the words with the correct pictures and glue them in place.